In the world of electrical contracting, we rely heavily on our suppliers and vendors to support us, but we typically don’t take the time to support them; to help them to help us be successful. We expect them to have industry and field knowledge of materials so they can accurately fill our orders. We expect them to understand what a superintendent is requesting in ‘field language’. We expect them to have answers for all our questions on the tip of their tongues. We expect them to respond to our communications promptly. We expectation them to have everything ‘on the shelf’ ready and waiting for us. We expect them to know what our needs are, usually before we communicate them. We expect their pricing to be fair. We expect them to support us unconditionally. The material isn’t in stock. They ship us the wrong items. They don’t respond to us fast enough. Their price is too high. We blame our vendors for impacting our business with these ‘failures’, but what have we done to ensure success? Have we communicated effectively? Have we planned ahead to allow a reasonable amount of time to fulfill an order? Have we built a relationship with the vendor above the ‘order material, receive material, pay invoice’ level? Have we engaged them as partners on our projects or in our businesses? Instead of blaming our vendors, let’s explore what a more supportive and mutually beneficial relationship might look like. To begin, we need to shift our relationship with our vendors from that of Customer>Supplier to Equal Partnership. We must begin to recognize that we need each other to be successful. Contractors need suppliers for information and materials, and they need us for orders and revenue. When was the last time you sat down with your local supplier’s branch manager and discussed your needs on a project or enterprise level? Have you ever had a conversation like that? Larger electrical contractors often put Master Vendor Agreements in place that define the terms and conditions of business transactions between the two companies. This agreement sets forth terms for items such as submittals, conforming materials, returns, payment terms, discounts and insurance. In addition, this agreement binds the vendor to the contractor’s subcontract terms at the project level and makes them equally liable for delays, defects, insurance claims, indemnity, and documentation. In return for accepting this agreement, the contractor typically guarantees the vendor a certain level of business (total order value per year) and favorable payment terms. This is the starting point for a partnership. The next step is open communication. It is the contractor’s responsibility to clearly communicate their needs at the project and/or enterprise level. At the project level, this is accomplished by bringing the vendor onboard early in the project. They should be given copies of the plans, specifications and project schedule. The contractor will also need to complete thorough material takeoffs and provide these to the vendor. This provides the vendor time to put together the required submittal packages. Be mindful that these takeoffs are for large material buyouts, not miscellaneous orders. Typically, these large buyouts are for scopes of work such as underground, rough, trim, branch wire, conduit and feeders. Large equipment orders such as switchgear, panels and light fixtures would also fall into this category. Once the vendor quotes the Bill of Materials for each takeoff, the contractor commits the buyout orders to the vendor well in advance of the material being needed on site. The vendor agrees to bring the material into local stock and hold for the contractor for a set period of time, based on the project/scope duration and anticipated release schedule provided by the contractor. Depending on the project subcontract, the electrical contractor may be able to bill the general contractor for stored materials. If so, the vendor can also invoice the electrical contractor for the same stored materials. The vendor is then paid when the subcontractor receives their payment. If the subcontract does not allow billing for stored materials, then the vendor sends invoices for materials as they are released to the jobsite. (Note that billing for stored materials typically requires specific insurance requirements are met by the vendor. These will be detailed in the subcontract). 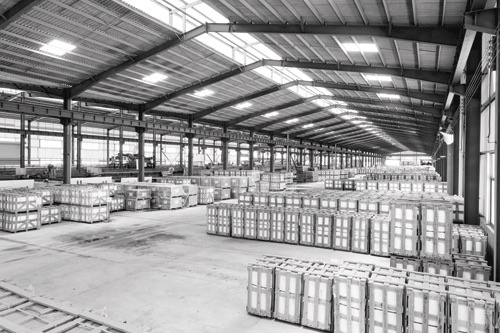 The subcontractor should release portions of these buyouts in sufficient quantities that the vendor is not overly burdened with delivery costs and material handling. There are no hard and fast rules, but typically material releases are not larger than one or two delivery trucks can transport. It should contain enough material to keep the jobsite supplied for 2-3 weeks of installation work, providing there is sufficient laydown area available at the jobsite. On the other end of the spectrum, the releases should not be so small and frequent that the vendor is delivering more than once per week. At the enterprise or company level, electrical contractors can leverage these relationships to ‘lock in’ pricing for large commodities orders over a set period of time. For example, if a contractor can predict the amount of copper or aluminum it will use in a year, it can lock in pricing per pound with a distributor and fix the costs for these materials for a set amount of time, typically 12 months. Contractors can also negotiate long-term fixed costs for commodities materials such as conduit, fittings, straps, strut and wiring devices. This helps contractors to improve estimating accuracy and avoid material cost escalation between bid time and project award, which often lags several months on larger projects. By committing to purchase this material, it also helps the vendor to project annual revenue and bring the ‘right’ materials into stock for future buyouts and miscellaneous orders. This relationship may also help contractors get better multipliers (discounts) on large purchases such as switchgear, generators and lighting packages from vendors. If an EC can group similar purchases from multiple projects together and commit to buying them all from the same distributor, they can typically save 3-5% off the combined price. For example, if an EC has three projects with switchgear packages worth $75,000 each, and they can get a 4% discount by purchasing them all from the same vendor/manufacturer, that would result in a total of $9000 savings, or $3000 per project. The more business a contractor does with a single vendor, the greater the possibility for shared savings. The final step is feedback. The contractor and the vendor must keep the lines of communication open to share what’s working and what’s not. Problems should be identified early and worked on together for resolution, don’t assume the other one is going to fix it. You’re in this together, and you must work as partners to resolve conflict and miscommunication. Just like a marriage, business partnerships take work. You must communicate if a need is not being met. Used correctly, these methods are designed to create mutually beneficial partnerships between vendors and contractors. By helping each other to be more successful in their respective roles, it decreases the occurrence of unmet expectations and increases the opportunities for savings, growth and success. If you enjoyed this article, please also read our article on Purchasing Methodologies. What has been your biggest challenge with suppliers? Do you have any valued partners? How did they earn that position? Do you know how to build a vendor relationship?